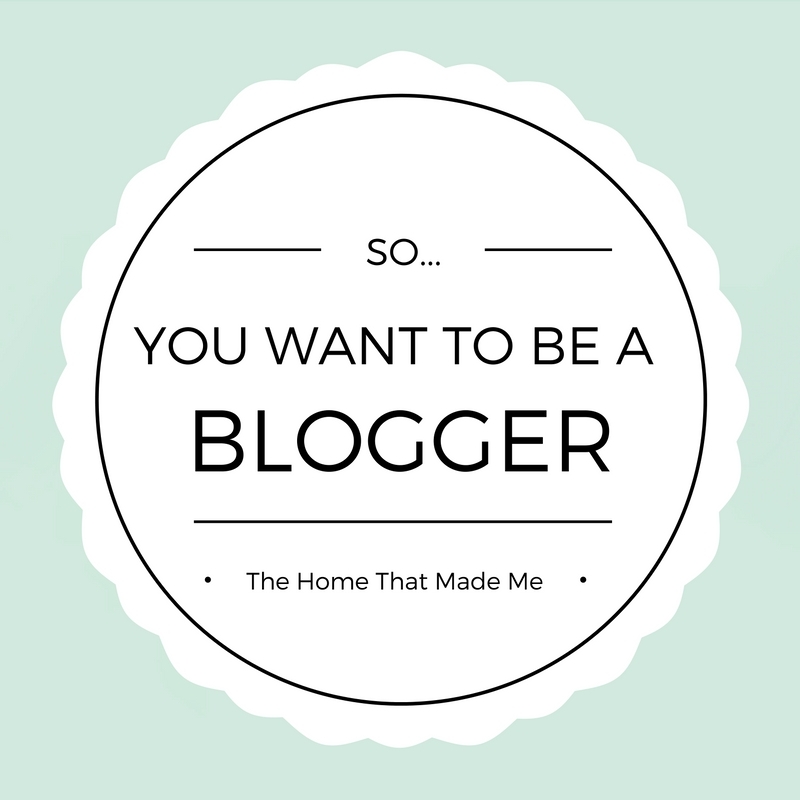 So, You Want To Become A Blogger? 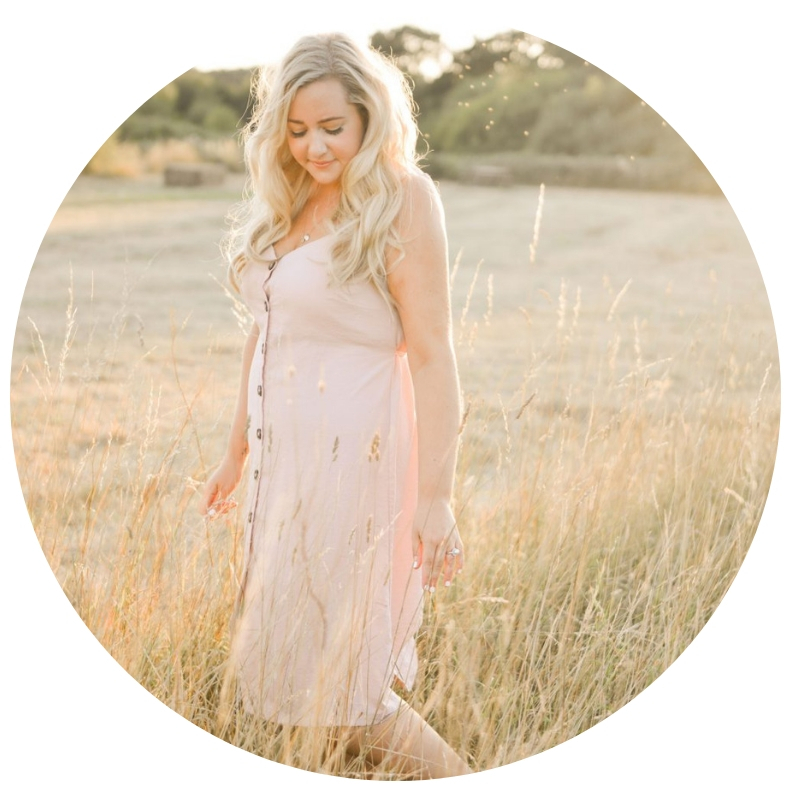 I’m a relative newcomer when it comes to blogging however since setting up The Home That Made Me I’ve developed quite a presence within the little community, mainly because of my following on Instagram. When people ask me what I do for a living, I’m either met by “so you basically get sent free stuff” or “what on earth does that mean?”. I thought I’d tell you all a bit about my experiences & share some advice for anybody that’s considering taking the leap on to the world wide web. Perhaps you’ve been reading others blogs & would love a creative outlet. Maybe you’ve been thinking about setting up a blog for a while now but lack confidence or haven’t found the time. Time – I never ever expected it to take as much time as it does. At the beginning of 2016 I made a pact to put more effort into my blog & that I’d post 3x a week….I kept this up for about 6 months until my childcare became null & void. Sometimes ‘real’ life takes over. If you think it takes 5 minutes to knock up something that people will want to read then you’ve got another thing coming. Before I started blogging, I didn’t have much of an appreciation for the blood, sweat & tears that goes into it all. Self-doubt – Putting yourself out there is pretty nerve-wracking. For me, I was more embarrassed about what the people that knew me would think & some of my very personal posts where I express my views or feelings (I try to stick to interior because of this, even though they go down really well!) like ‘Losing Myself‘, have been the ones where I’ve hovered over the mouse for sometimes weeks on end, not knowing whether I’d be judged for it. Ask for advice – One of my top tips when setting up advice is to ask other for advice. I sought advice from the lovely Oh So Amelia & Dolly Bow Bow before I even started. These ladies are both absolutely incredible bloggers who have successfully turned their blogs (& vlogs for Kate) into full time jobs. You’ll be surprised how friendly people are, although not everybody is technically minded to teach you how to load Google Analytics. It’s FREE! – I think people probably presume that setting up a blog costs a start up fee but using websites like blogger.com (which I use) or wordpress.com (which I’m told is better!) means that creating a little snippet of ‘you’ within the internet is completely free. If you want to buy the domain (so you become .com/co.uk etc instead of .blogger.com or .wordpress.com) then that’s still very minimal at a couple of pounds a year. Find your niche – What are you passionate about? It’s SO important that you find something that you love & can talk no end about otherwise you’ll soon fall out of love with your blog. It’s advisable to stay within this field so not to confuse readers e.g. a food blog suddenly talking about makeup. Perfect presentation prevents poor performance – Nobody is going to stay long on a blog that isn’t presented well or is hard to navigate. Start off using one of the free theme’s but once you’ve decided to take it to the next level then it’s time to buy a new layout. Don’t expect stardom immediately – If I didn’t have a large following through social media then I’m pretty sure that nobody would ever read my blog! I would have really struggled to promote which probably would have resulted in giving up completely. Remember that you’ll start off as a teeny tiny fish in a very very big pond that is the internet. Never ever do it for the ‘freebies’ – I hate to say it but if you think becoming a blogger will mean that parcels of free stuff will drop through your letterbox everyday, then you’d be greatly mistaken. It takes a long old time to get to that point (if ever!) & if you worked out the amount of time & effort you’d spent ‘for free’ then you probably could have bought those items 10x over. Also, ‘free stuff’ doesn’t pay the bills! Be yourself – one of the most important things is to be genuine. You don’t have to use big words or sound professional if it isn’t you…part of the beauty of blogging is that everybody has a unique way of writing & sense of identity that readers will grow to love. Don’t force it – I tend to write posts when they come to me naturally. If I don’t feel passionate about a subject then it’s probably going to result in a rubbish blog post. We all suffer from ‘writers block’ which can mean that you can go days/weeks/months without writing anything, but wait until something inspires you when you least expect it. The best bit about blogging is definitely the experience & opportunities it has given me. Never in a million years did I expect that I’d work with some of my favourite brands across the world. The worst part about blogging is finding the time to fit it in-between being a mother, wife, friend, family member & also freelance writer. I put so much pressure on myself despite always telling myself that once it became a chore rather than a pleasure then I’d jack it all in. Sometimes it has reached that stage but then it just takes one exciting email to land in my inbox or a lightbulb moment of inspiration in my head for me to fall head over heels back in love. Finally, my last bit of advice is to enjoy it! I’d greatly encourage anybody to set up a blog as it really truly has changed my life for the better & gives me some purpose outside of being a stay at home mother to share my creative flare & ideas. I’d go as far to say that I found myself & my ‘purpose’ through this blog when I felt so underfulfilled as a stay at home mother. I’t’s a little slice of ‘me’ on the internet where I can share my passion with others to hopefully inspire & encourage others.